As much as I love to cook, I get bored at times. Even though I frequently try new things or change up my old recipes, I still feel like sometimes I'm using the same ingredients too frequently. Generally I know that's what people do because let's be real who makes things they don't like?! But I am always on the look out for new recipes and ingredients. This past summer I attended a local but big cooking show called "What's cooking Detroit". 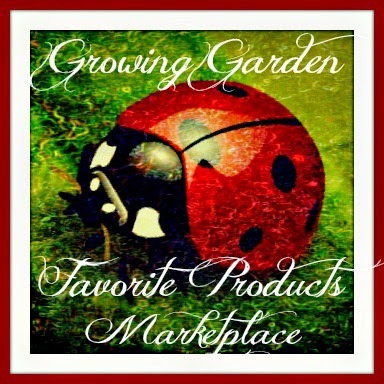 There were tons of local vendors from around the state of Michigan and several celebrities. None stood out as much as LetzEet did. A lot of local smaller owned companies find one product or specialty area and stick with it. But at LetzEet there was a huge variety offerings. I immediately emailed them to see if we could work together. Even though it took a little time, I have several new items to share with you now and hopefully more in the next month. I was given their Ghoulish Garlic Dip, Blazing Bread Dip Mix, Honey Mustard, Hot Hot Mustard, Pineapple Teriyaki Sauce, Tandoori Rubz, South of the Border Rubz, Dilly Lemon Sauce and finally the Zesty Chichilla Sauce. Wow, that's a long list right? So get ready for a lengthy post! The first thing I had to open (because you know me and my spicy love affair) was the Zesty Chichilla Sauce. WOW! Can you say hot but in a melt my tummy kind of way! They say on their site, "One taste of our Zesty Chichilla Sauce/Dip and you will never go back to mayo again" and they are right. Add this to any sandwich for a big zing or to a dip as a replacement when it calls for mayo. So yummy and this was the first time I was able to make my spicy dip without the Z sauce and still achieve the same results if not better flavor. Next two came the mustard's The Hot Hot Mustard really didn't impress me as I expected that wow like I did with the Chichilla Sauce. It honestly tasted like some honey mustard's that are made with a strong horseradish - sweet and spicy. We used to have something similar at the restaurant I used to work at and this reminded me exactly of that. It'll clear your sinus's though if your feeling a little plugged up. The Honey Mustard lasted maybe two weeks in my house. Not only did my honey mustard freak of a husband enjoy it but Dane loved it too. Dane had it everyday on a sandwich claiming each time, "this is the best mustard I have EVER had!" I have to agree with the both of them too, this is unlike any honey mustard I've had in the past. It was very creamy and rich with flavor. I never got a chance to try it on something other than a sandwich but I'm sure it would go great with some chicken fingers or maybe on a salad. After the spreads came the South of the Border Rubz which we decided to add to our chicken dinner one night. I sprinkled the rub over the chicken and then decided to top over it the Sweet Baby Rays Signature Sauce spread to keep the chicken moist on the grill. Although the chicken did come out tender and flavorful, it was a mild flavor. I expected a little different but I am thinking it was the Sweet Baby Rays sauce. I also added the rub to the veges as I cooked them in the skillet and they had a great southwestern flavor since it was used alone. The chicken went great with a bed of rice and the grilled vegetables. 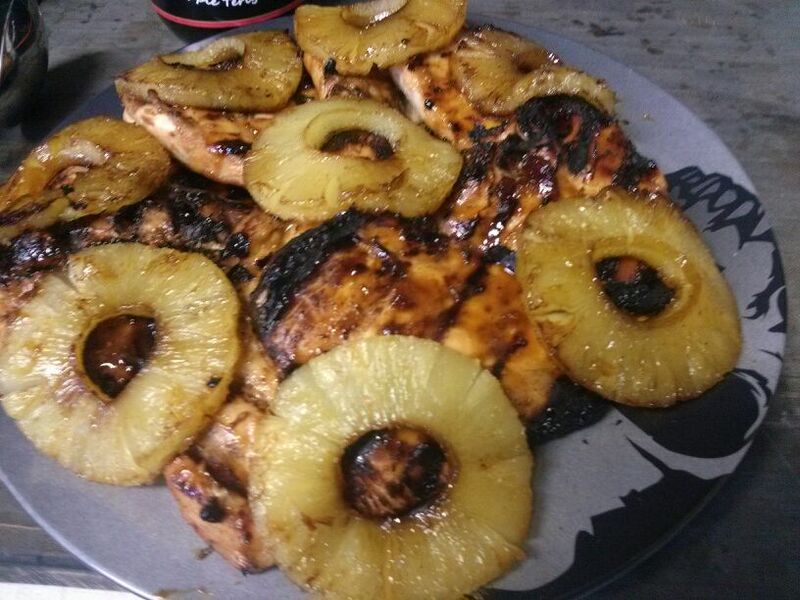 I was really upset with myself because the next night I grilled pork chops and completely forgot to try the Pineapple Teriyaki Sauce. So I decided to use it the following night with our chicken again. This sauce is amazing! I marinated my chicken breasts for a couple hours in it and then brushed it frequently while on the grill. This was the perfect combo of sweet, tangy, and a little kick in the after taste. 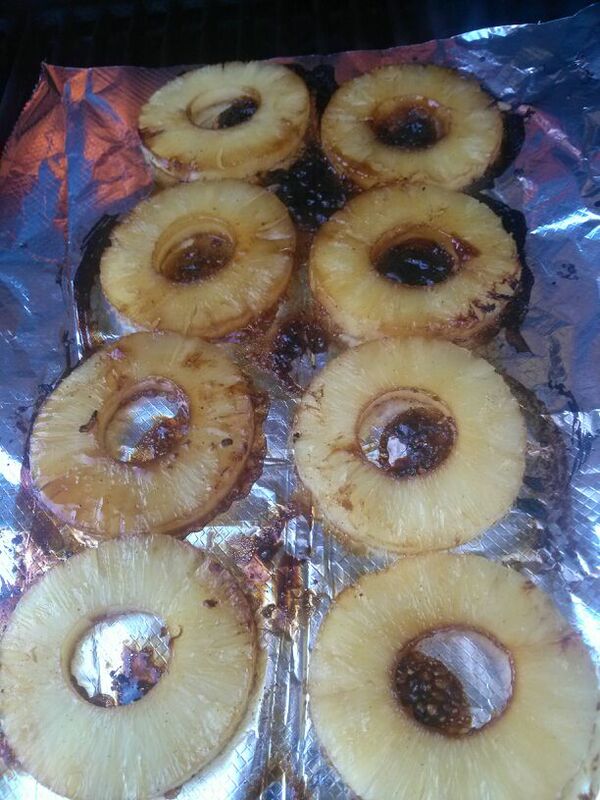 I even marinated my pineapple slices with it as well while on the grill which gave them an extra flare! I will be using this a ton and hopefully in more recipes. I can't lie the next one I tried was solely for me. I knew no one in my house would even try it but I had to give a go with the Tandoori Rubz. Again I decided to use it on some chicken (can you tell what we have a lot of nights of the week?). Although, for this one I waited until I knew we'd be grilling at my moms house since I figured she would be the only one to give it a try with me. I poured it onto a plate and dipped both sides of the chicken pieces in it to completely cover them before throwing them on the grill. After removing the breasts I then sprinkled a little extra onto each piece to give it even more of a kick. We were both in agreement. This had amazing flavor but only if you are a person who prefers tandoori. The chicken went great with a side of fried rice as well. It does have a kick and we thought it was yummy! For the last few items we held off until we had our Annual Halloween Bash this past weekend. The Dilly Lemon Sauce we left as is and used it as a vegetable dip or for the popcorn shrimp. Unfortunately I have to say I wasn't a fan of this one and it didn't appear a ton of others were into it either. But this isn't exactly a food tasting party as you will see from a few of my pictures. Its more of a drink tons and eat after! The Blazing Bread Dip Mix I mixed with a creamy Balsamic and olive oil to dip with. This was awesome as it had a kick that I had never tasted before in a bread dip! We served pita bread slices and chunks of good ole sourdough bread. Everyone seemed to love this mixup. It had a little tangy of a taste too because of the Balsamic but remember with most bread dips they are just as good with a little olive oil. And finally last but definitely not least, the Ghoulish Garlic Dip. I used this in a couple different ways. First I mixed 4 tablespoons of it with 1 cup mayo and 1 cup sour cream to make a delicious dip. This was one of the first items gone at the shindig! I then also decided after the party that the dip mix was perfect for my homemade Garlic Bagels. You can either mix some in with the dough before cooking and/or sprinkle it on top before tossing them in the oven. Wow! Let me tell you if you are a fan of garlic you will love this stuff!! I also have to add that I decided to add a couple table spoons of the Zesty Chichilla Spread to every 1 cup of cream cheese and then used a pastry bag to squirt it inside some hollowed out cherry tomatoes. I then added a black peppercorn in the middle to make these look like eyeballs for the party. These were super easy finger food that everyone loved popping a couple in their mouth's each time they walked by. Recommendation: This is a family owned company and you can tell that the recipes taste like something handed down a few generations. There are also several great recipes listed on the site as well that I'd recommend checking out. I think the prices of the products are all very reasonable with what you would find elsewhere especially for the bold tastes you are getting! You'd be crazy not to try at least a few of these products and get creative with a recipe of your own! 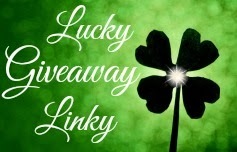 Giveaway: LetzEet is going to give one of A Lucky Ladybug's lucky readers an Assorted LetzEet Gift Basket of their own! The Bodacious Bacon Dip, Blazing Bread Dip Mix, South Of The Border Rubz! and the Chick A Wing Sauce. I'd love to try the Pineapple Teriyaki Sauce. I would love to try the Fish Rubz!, Bodacious Bacon Dip, Blazing Bread Dip Mix, Pineapple Teriyaki Sauce, Dilly Lemon Sauce, Honey Mustard and Zesty Chichilla Sauce. LOL I should have just said one of everything! I would like the bacon dip! garlic dip and teriyaki sauce!! The site was down when I tried but the bread dip and teriyaki sauce looks sooooo good! 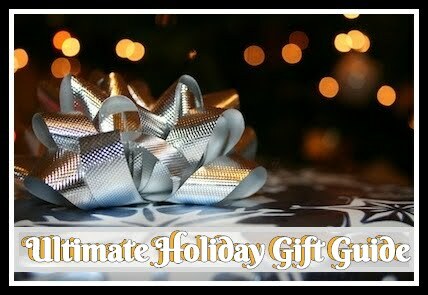 I like giveaways, beauty and recipes! You have great giveaways and update your blog often, keep up the good work! The Ghoulish Garlic Dip sounds amazing. Our family loves anything Garlic. The Ghoulish Garlic Dip sounds fab! I would like to try any of their products, but the Okey Dokey BBQ Sauce sounds great!